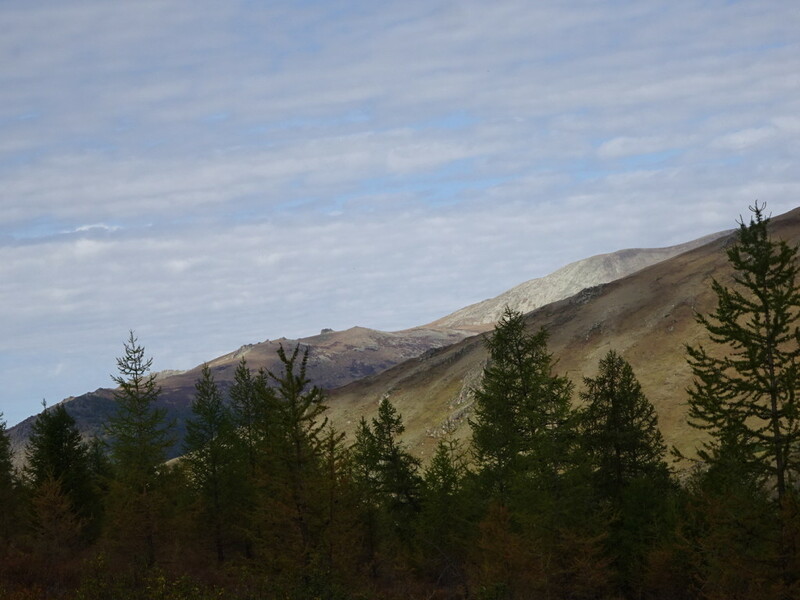 Posted on September 14, 2015 by No Map Required Posted in Mongolia, Places	. We did it! We did it! 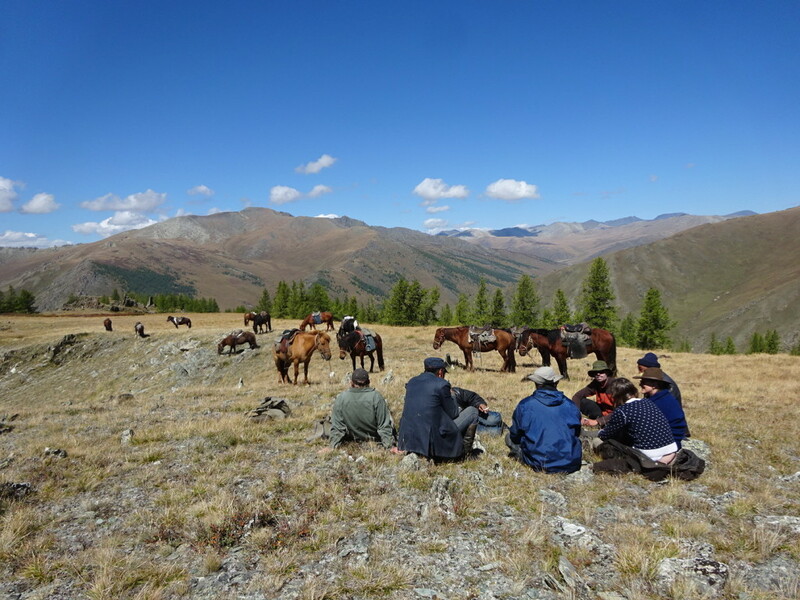 We survived our two weeks in the Mongolian Altai mountains on horseback! Crazy. Did I mention…WE DID IT!!!?? See them mountains behind us? Yep, we done rode ’em and lived to tell the tale! Hold on to your horses (Hahahahah – I crack myself up! ), this is going to be a looong tale to tell. 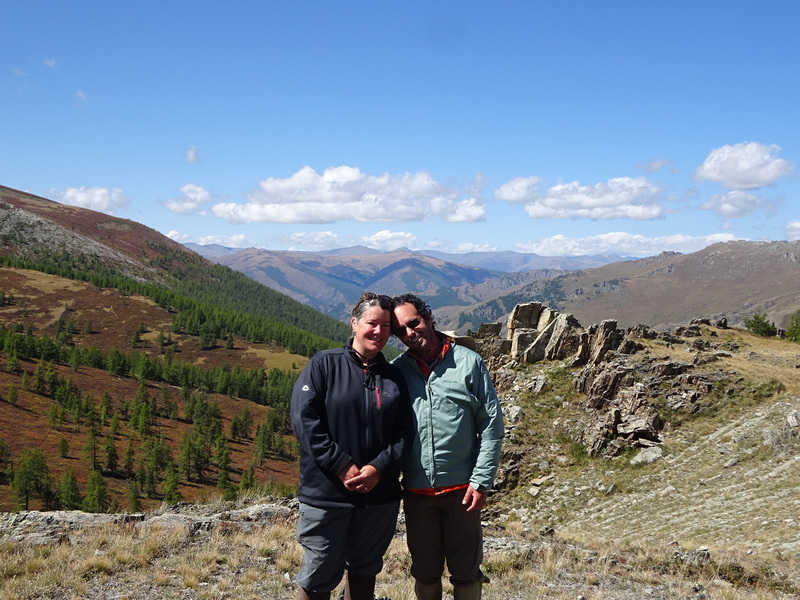 After a two week, epic Mongolian horse trek, long is our only option. Of course you can always just look at the pictures…but, boy will you be missing out! Let’s see if I can give a feel for what the whole journey was like. Typical Day We wake up around 7:00-something. Take down our tents. Pack our sleeping bags and mats. Pack our gear. Pack our saddle bags with anything we think we’ll need for the day…hats, sunglasses, snacks, water, warm jackets, raincoats, cameras…double check that we have ibuprofen…and maybe some asprin too. Walk up to the hole-in-the-ground (the “long drop”) and take care of our morning “business”. 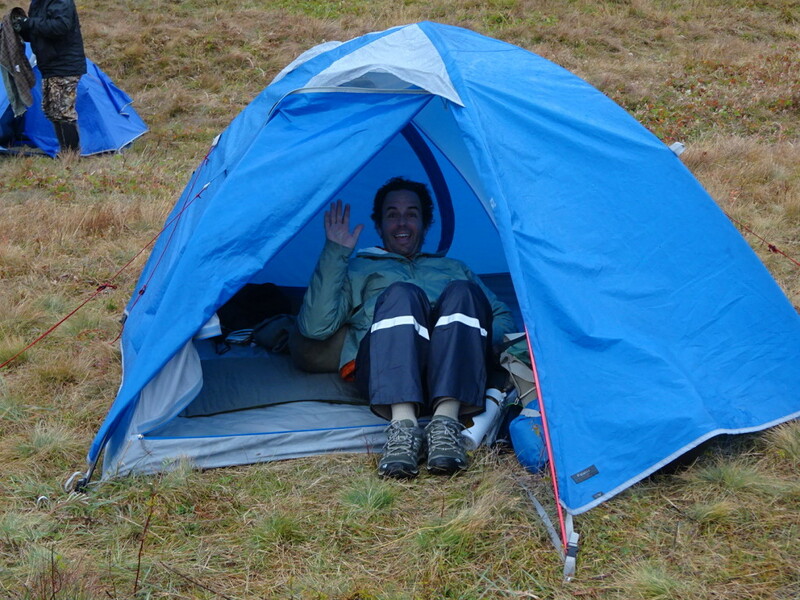 Unlike our African safari, this was a full squatting hole in the ground – not even a make-shift seat to use. Then off to the river to wash faces and re-fill water bottles. That mountain stream stuff is COLD! We’re awake now! Go have breakfast. Waiting for our ride to start. Yes, Aaron is wearing pants with rainpants over them, a wool t-shirt, long-sleeve shirt, down coat and raincoat on top! All the rage, I tell ya. 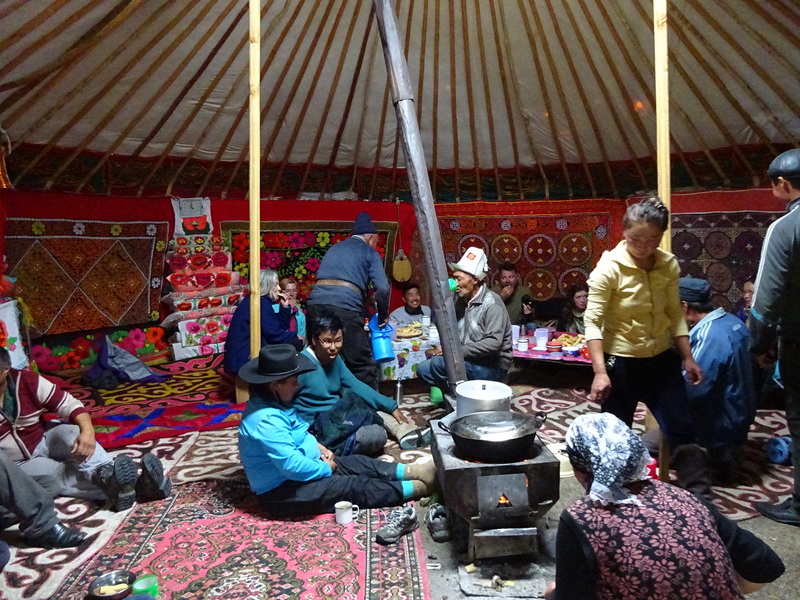 All the meals were prepared by Khazak Mongolian women (we were near the border with Khazakstan and most of our staff was of Khazak descent). We started the day with yak’s milk oatmeal. Aaron doesn’t like oatmeal at all, but by Day Three he learned the secret to choking down oatmeal is in the sugar. He’d put in a quarter cup and eat as much as he could stand before handing me his sickeningly sweet leftovers, which I would dump into my slightly less sweet porridge and together we licked the platter clean. 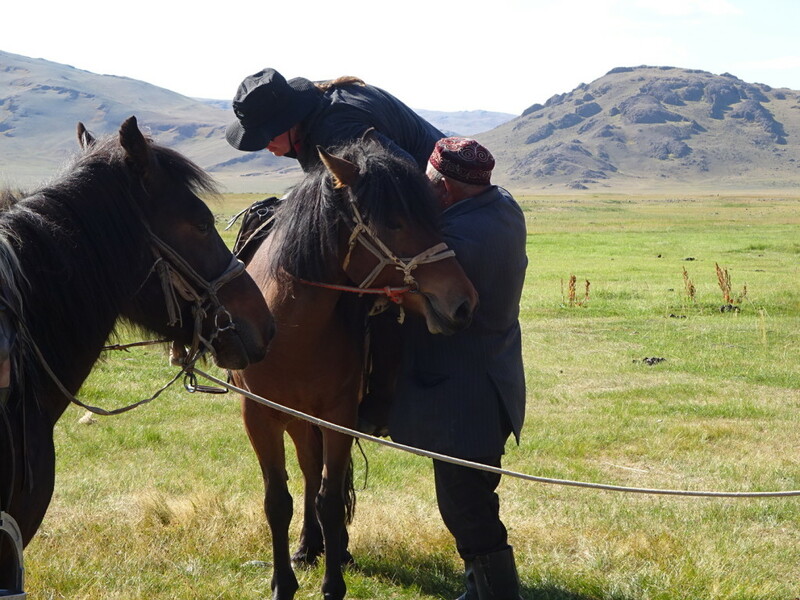 While we dine on the floor of a ger (one of those funny Mongolian tent homes), the Khazak men round up the horses and saddle them. Then the lead wrangler, a short, round little man with rosy cheeks and a stocking cap named Khatran (the man, not the stocking cap), would yell “Kittek” which meant, “Let’s go!” Time for the embarrassing task of hoisting myself over my horse – which always took a lot of leverage and help from the wrangler. Once everyone was mounted, the day’s ride could begin! Khatran during a break. After a few minutes he scoops himself up and yells “kittek”. Heeeave Ho! Khatran quickly delegated this job to one of the other wranglers. Quick riding aside: The rides might be easy or hard for everyone else, but for Aaron and I, they were all hard! Probably had something to do with us knowing next to nothing about riding. Those practice rides in Ecuador? Umm, only marginally helpful. Anyway, by the end of the first week we were doing MUCH better. Things we could barely do on the first day were becoming more comfortable and natural. 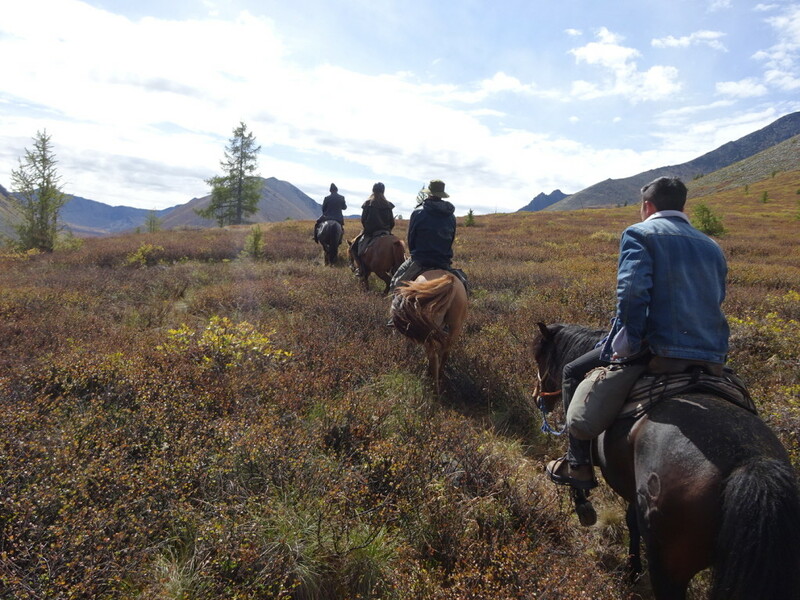 On our last few days we were finally feeling a bit more in tune with our horses and navigating small water crossings without a wrangler pulling my horse across or someone yelling “Kick him… No! Kick harder!” to get us to do whatever it took to get the horse across. Now, back to the day! At some point the wranglers would stop us for a break. We’d eat Mongolian cookies, chocolate, and salty peanuts. Another embarrassing mount. Back to riding. Snack time! Aaron loved that there were always chocolate bars available for snacks. Later we stop for what they called lunch. Lunch was universally terrible. For those who liked such things, there would be canned sardines and canned oysters. For the rest of us, there was dried out, stale, sometimes moldy bread and pickles. Khazaks love their pickles! The men would drink the pickle juice straight out of the jar. I’m not even making that part up. As you might guess, not a whole lot for either Aaron or I to enjoy. The breaks and lunches were always in the most gorgeous places, though, so we pretty quickly learned to bring some dried fruit and granola bars of our own (thank goodness we’d read that recommendation from other travellers) and just sit back and enjoy the view, ignoring the very forgetable food. Views beat sardines every time. After lunch, another mount, more riding. Depending on the day, we might think we were going to die from walking up and down mountains, or die crossing streams and rivers, or die riding through a forest full of stumps, rocks and tree branches or die as our horses decided this was the day for them to start cantering without us wanting it. Hard to say, but usually there was something heart pounding that would happen. Not so easy riding terrain. 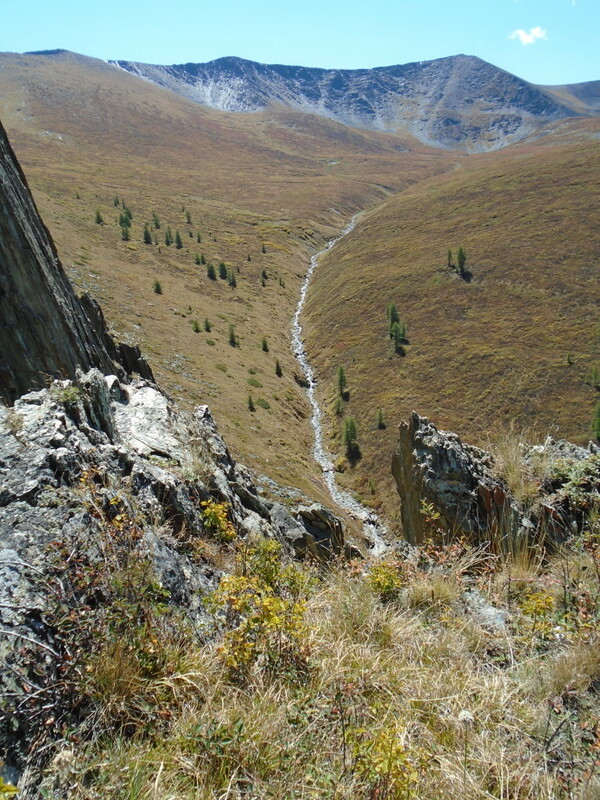 Yes, we did ride down there! Finally we’d make it to camp totally alive and in one piece. There the Khazak ladies would be waiting with dinner nearly complete. We would pitch our tents. Blow up our sleeping mat. 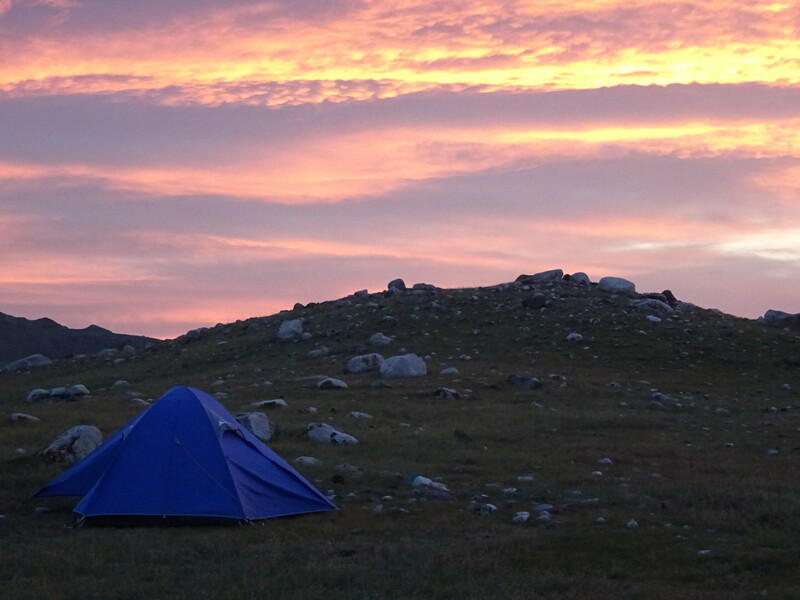 Unroll the sleeping bags and make our tent a home for another night. Dinner bell would ring and it was usually pretty darn good! Every night was some version of mutton, cabbage, taters, and carrots. Sometimes in pasta. Sometimes in fried dough. Sometimes in dumplings. Sometimes in soup. After Aaron and several others got sick on mutton, one-by-one, more and more people began to ask for vegetarian meals. Did everyone get that? Mongolia turned Aaron into a vegetarian!! Welcome to the veggie side my love. Dinner in one of the gers. The night ends with chatting around the stove or camp fire. 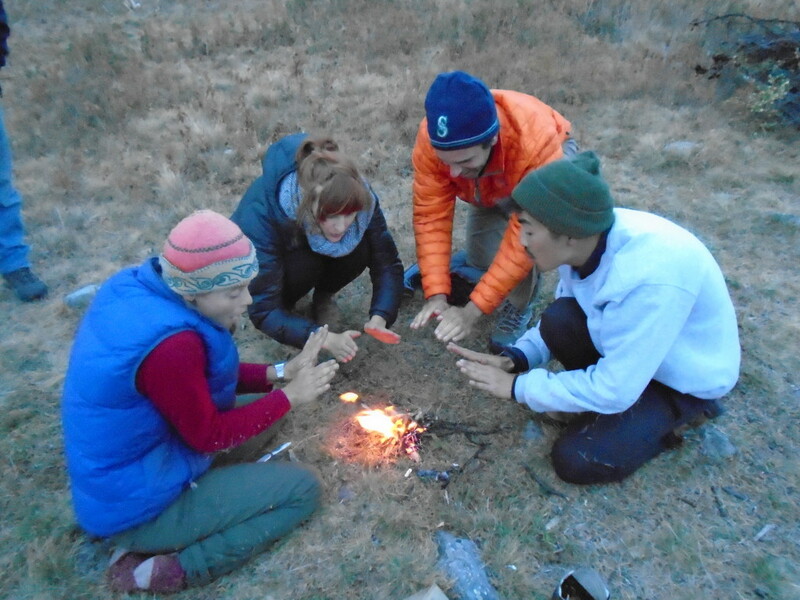 One night we attempted to make a “tiny fire” – an itty-bitty elf-sized fire with tiny little sticks. It took five man hours to complete, but we were pretty proud. The Khazak wranglers joined us, gathering tiny sticks. They had to be shaking their heads though and talking amongst themselves, “Why don’t they just use the big fire we made…should we give them the torch and the lighter fluid..naaah, let’s watch the funny white people.” Aaron narrated the entire event and, as always, he cracks me up. In fact, he even got given an award at the end of the ride for something like “Most Surprising Sense of Humor”. I know I’m always surprised! Oh how proud we were of an itty-bitty fire! Another night we played a game with sheep bones. Aaron came in first. Of course. Add it to the gaming spreading sheet. One delightful night the Khazaks made fresh fried dough (like donuts) for us while we played cards. Ohhhhh, mamma…fresh fried dough (think: Minnesota State Fair). Yes, please. Finally we retire to our tent to read (thank you SO much, backlit Kindle Paperwhites!) and fall asleep. 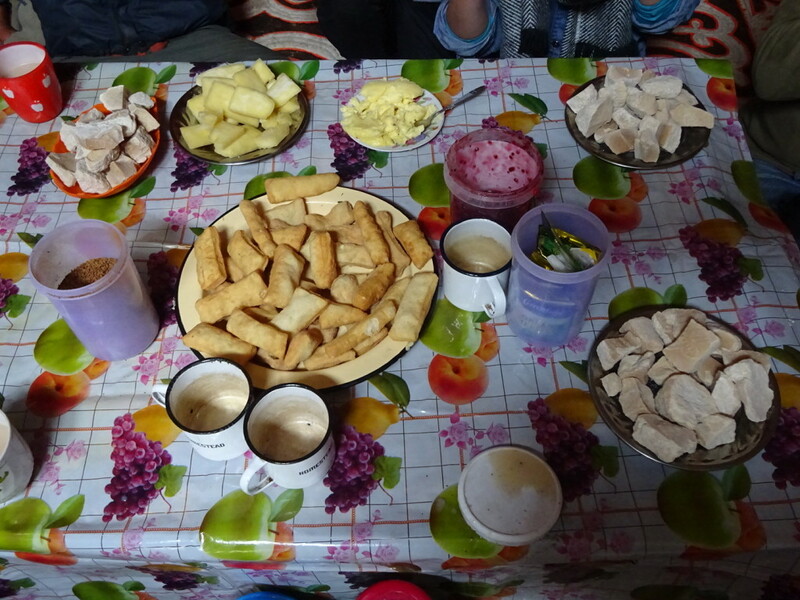 Fried dough in the middle, dried yogurt in the corners and yak milk cheese 2nd from the top left – breakfast of kings! Well, plus porridge. And there you have the basics of our average day…if there was such a thing as an average day! I know there’s so much I haven’t told you yet, but Aaron says maybe we should break this blog down into more manageable pieces and he’s my editor, so one entry becomes two. Or three. Four? We’ll see how it goes. Next time I’ll introduce you to the horses! Aaron sports his nice warm puffy coat (thanks for bringing it, Lisa!) on a gorgeous, cold, Mongolian night. Worth the wait! Those gorgeous mountains. And inside the gers is fantastic. Wow. And yes absolutely you both get serious cred for doing this trek. So proud of you both!!! So now I know you’re both a couple of tenderfoots when it comes to horseback riding. Was wondering how you prepared yourselves for many days in the saddle. Bet you were saddle sore for days. What an experience though. We ARE tenderfoots. Tenderfeet? And what a great lead-in to blog #2 where we talk about the soreness. Soon, soon! The blog was worthy of the wait. Nice scenery. What a experience you two are having. So fun to read and see the pictures, Will be waiting for Chapters 2-3-and 4 ! Hopefully you won’t be waiting long – next chapters are in the works! 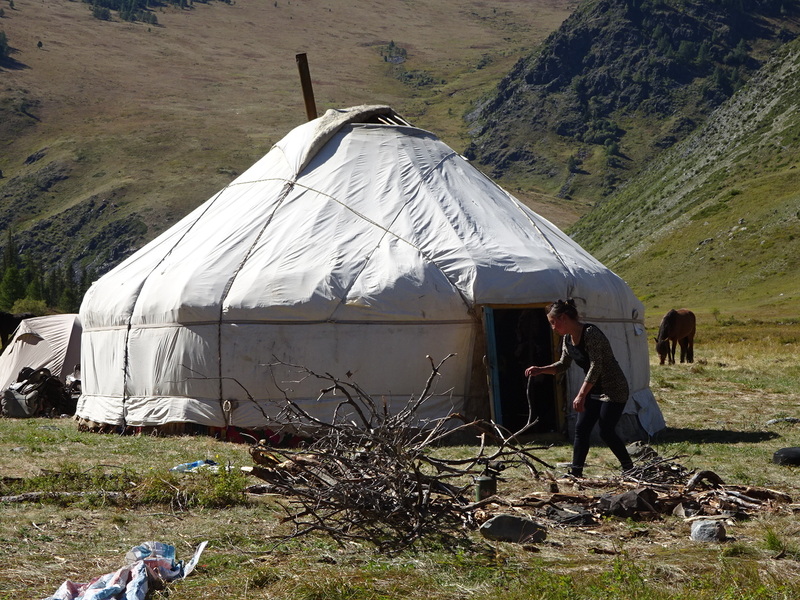 Well, if that is food, I’m not heading to Mongolia without LOTS of food from home. Glad you had a good time. And you survived! How weird is it to be writing about Mongolia while resting from a snorkeling trip in Bali? What a life! Yep, we were REALLY glad to have along some dried fruit, some gorp, some granola bars, some dark chocolate KitKats (those were new to us in South Africa – so good!) and some M&M’s. Here in Bali, we are SO loving all the fresh fruit. Juice every day for us! That’s what we call “win-win”! Wow! What an amazing experience! So different from barfing in Bali! You two are amazing adventurers! You could write a book about your adventures! Or guide other people on their adventures! Where to next? Anner’s working title for our book is “Middle-aged Couple Travels The World: Arrives Home Unscathed”. What do you think? Anner wants to be played by Reese Witherspoon in the movie version…or maybe Meryl Streep. Good to know that I’m not the only one who loves pickles and pickle juice!! I’ve rode many miles on many horses……but not like this, I can’t imagine how sore you guys must have been! 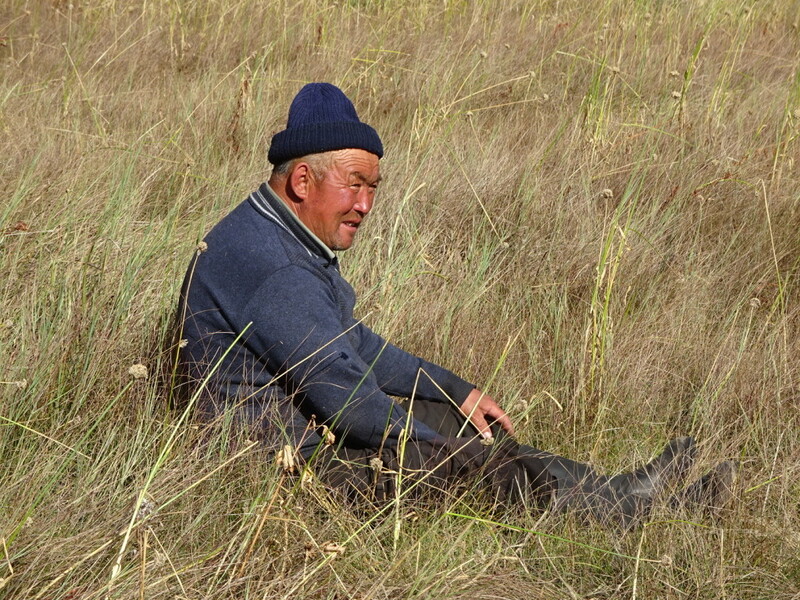 Well, Mongolia is the place for you, then! 🙂 Are you part Khazak? What great adventures! I am now considering the African Safari as luxury travel from all standpoints!! 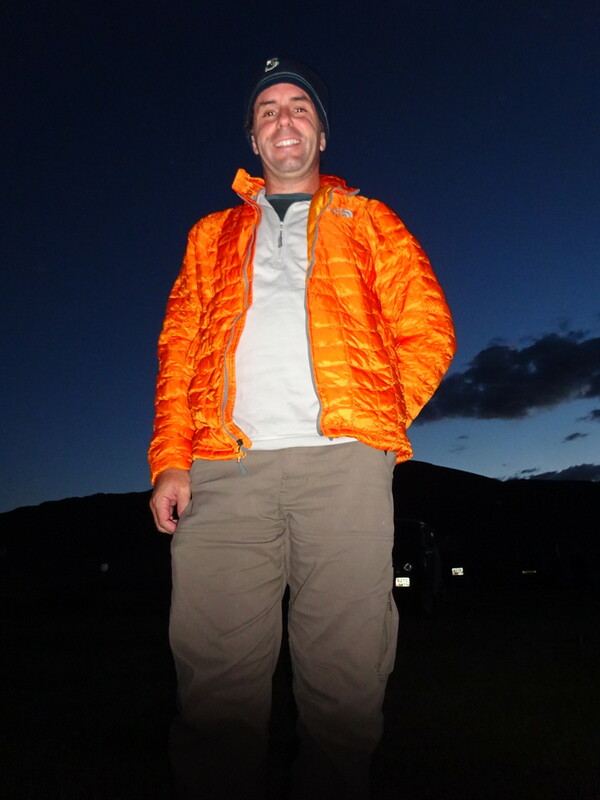 I so appreciate your stories – I’d love to think they’ll push me toward a few braver adventures!! Be brave – you only regret the things you don’t do, not those you try! Even if it means yakking off the back of a boat in Bali or falling off a horse in Mongolia, it’s worth it! Sounds kind of hilarious and terrible and wonderful all rolled into one. How did you come to choose to do this? I am impressed to be sure. Wow… sounds amazing! I think I’ll skip this section myself, but it’s great to read about. I will say that there are many Seattle-ites who also drink the pickle juice – it’s the hip new recovery beverage here. No kidding. I hope Aaron is bringing back The Bone Game for game night! I’d be keen to play myself! Also, I don’t believe that he has become a vegetarian; I’ll bet as soon as he got back to civilization he found a nice steakhouse. Mmmm!